I started my journey in Vietnam from the south, and my plan was to follow a trail that I had let out all the way to the capital Hanoi. Saigon was my first stop. I got Vietanamised after spending a week in the city, where I got a peek at what the country was. 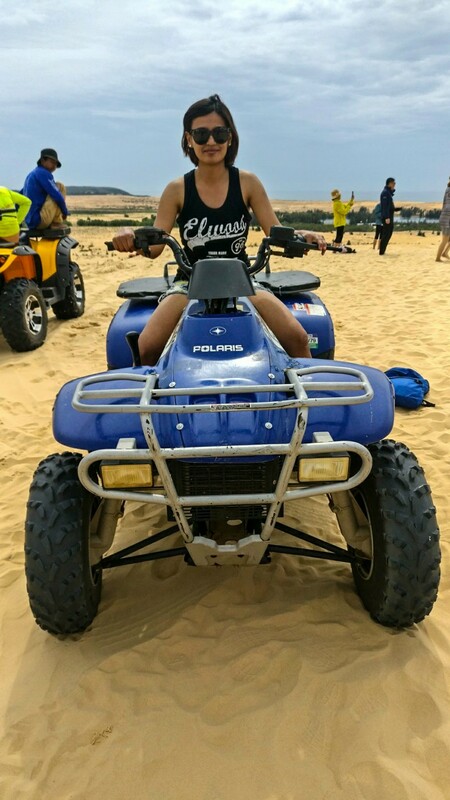 It was time to move on, and I chose Mui Ne, which wasn’t something that I had thought of exploring, as it was mainly a beach town. 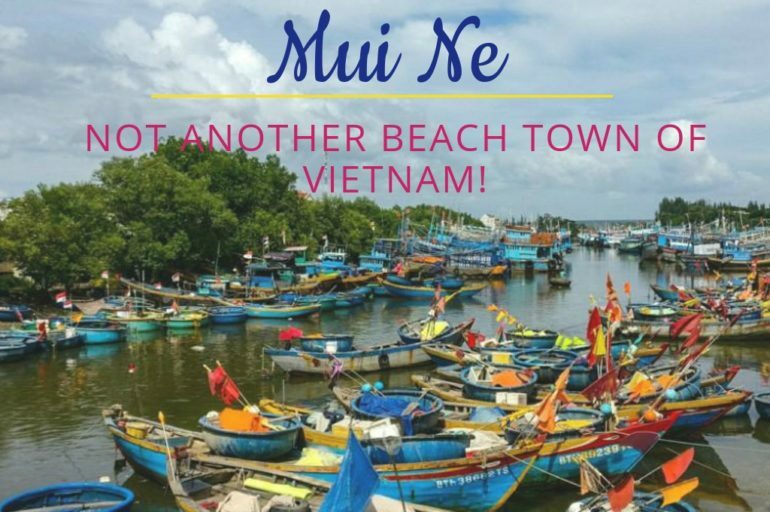 Mui Ne has so much to do that, at one point, I forgot about the beaches itself! Here is what I stumbled upon in this little town of the coast in southern Vietnam. 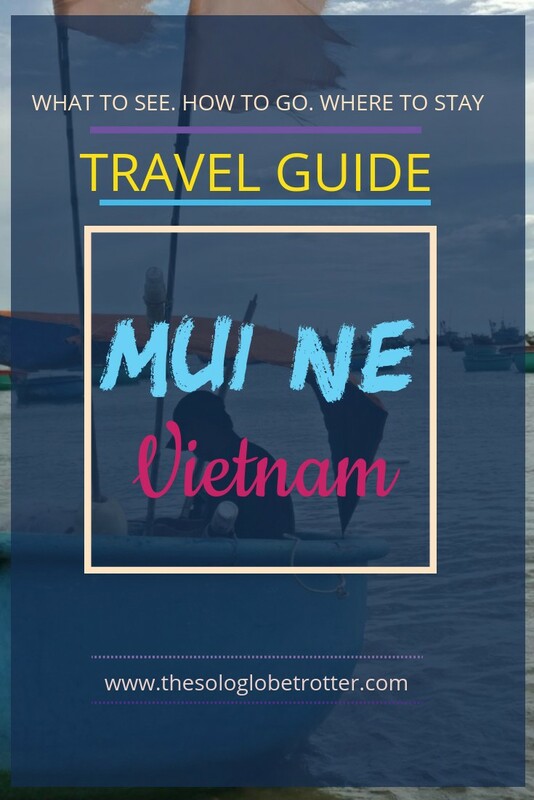 Traveling in Mui Ne – How to visit the places of Mui Ne? The sand dunes aren’t too big, at least the Red Sand Dune, but I loved both of these for their unique charms. It was a hot afternoon when I visited the White Sand Dunes. The small but serene crystal clear lake looked perfect on one side of the dunes, while the other side spread far, with scattered shrubs in between. I wanted to up my adventure level, and thus hopped on the ATV bike, and it was one hell of a crazy ride. I don’t remember screaming for that long or loud in my life! It scared the life out of me, but I enjoyed it the best! You can take the smaller or the bigger one for 20 minutes, and it cost me about 40,000 VND for a 20-minute ride on a smaller one. Then I headed to the Red Sand Dunes as the evening arrived. It is small in area and is just outside the main town of Mui Ne, unlike the White Sand dunes which are a long drive from the town. A lot of people had gathered on the dunes finding a spot for themselves to witness the sunset. I picked up a place for myself and enjoyed the slow and the long saga of the setting sun spilt in different tones that seemed to reflect his moods for the day. The fishing village in Mui Ne is unique and lovely, and I hadn’t seen a fishing village up so close before. The fishermen worked on their tools, fixing their nets, while the women of the village were sorting out the fishes. 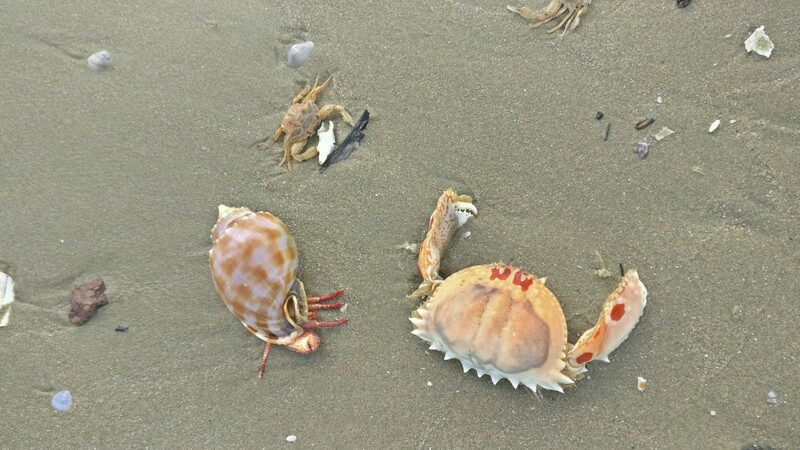 Just on the shore, I noticed hundreds of dead crabs, fishes, and other sea creatures. The raw scent of the sea or the sight of the lifeless creatures on the seashore, the small blue coracles on the land and scores of boats in the sea – all of it feels so real, I mean despite being a point of tourist interest, the life in the village is as natural and beautiful as it can be. I spent some time just looking at these, and trying to capture the beauty through my lenses. If you wish to have the village scene for yourself, visit Mui Ne fishing village either in the early morning or in the evening. 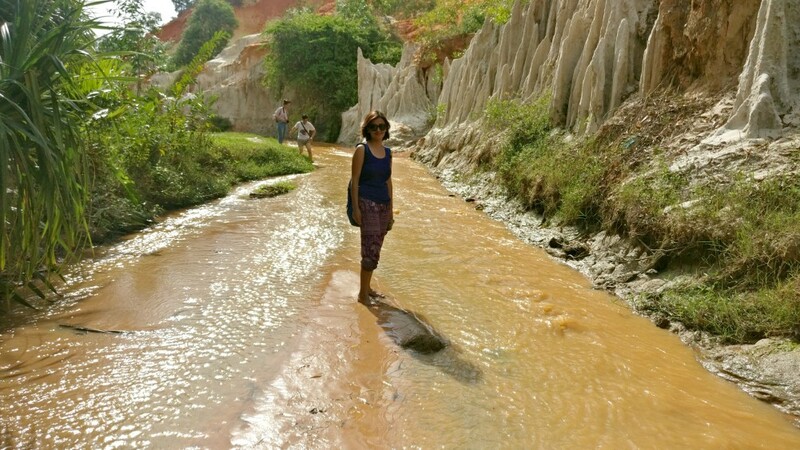 Fairy Stream – The name of this attraction in Mui Ne felt strange to me, and at the same time evoked curiosity. So I know that you must be feeling either of them. It is actually a stream that runs between the rocky bed of hills dotted with red and white rocks & sand on one side, and a forest area or rather plantations on the other side. 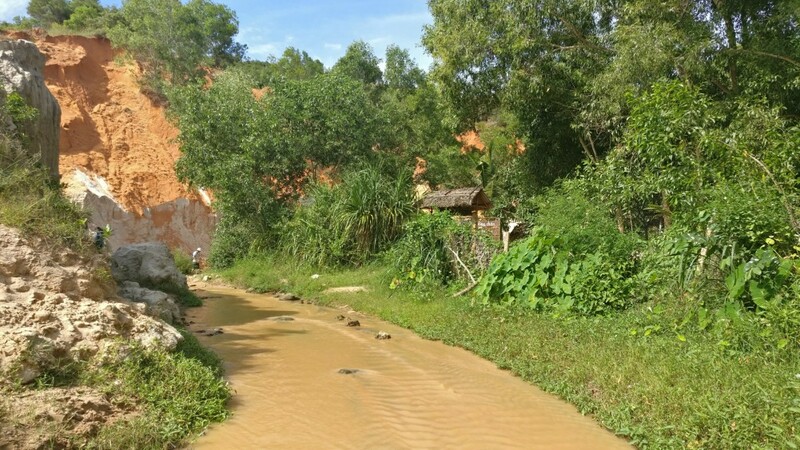 The water flows from Ham Tien’s Dinh mountain and is not more than ankle deep. The natural formation of the rocks is what makes this stream special. It takes about an hour to reach the end of the stream, and all you have to do is take off your shoes and keep walking! There is no entry fee, and the fairy stream is not far off from the centre of the town. 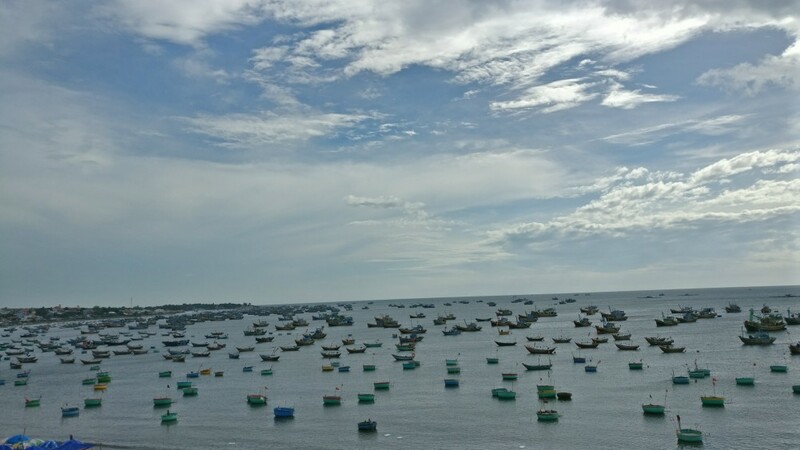 If the fishing village speaks of the local life in the town of Mui Ne, Phan Thiet Harbour gives a glimpse of a coastal town. It is a good place for photography and you can add it to your day for a small amount of time. 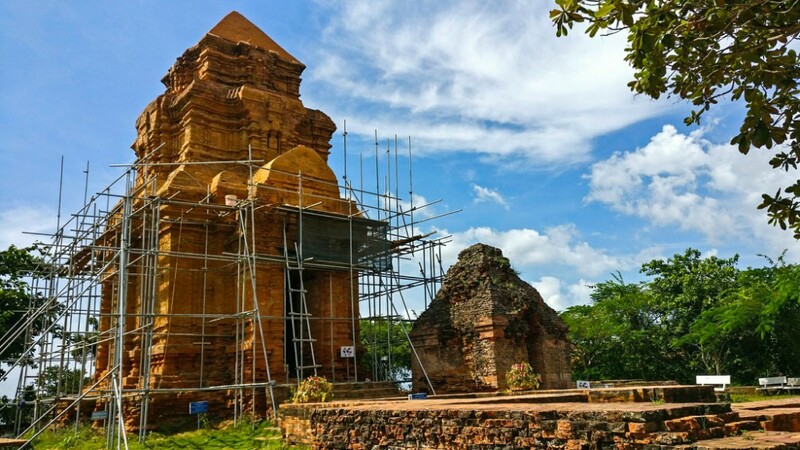 The Po Shanu Cham Towers is one of the few Hindu temples in Vietnam, and this one dedicated to Lord Shiva is farther from the main town in Mui Ne. It takes about 30 minutes to reach this place, and I loved driving to this place all along. It is off the main road and you might miss it if you aren’t following the Google Map. At least that’s what happened to me, but I ended up coming across this lovely Pagoda, which is ahead of Cham towers. The Cham towers is a simple temple, and don’t expect any big scale of ruins like anywhere. It is worth checking out for the drive, the view of the coast and the small yet lovely architecture of the temple itself. Just near the fishing village is the place where the morning market is. Every morning just after the sunrise, the fishermen sell their fresh catch in the market. You can see a lot of local people buying and selling them, and if you can stand the smell of the shops, you can enjoy the local life as well as pick up a thing or two on sea creatures and haggling! Kitesurfing is one of the popular activities in Mui Ne. Whether you want to try it for fun or plan to take up surfing classes, Mui Ne beaches will offer you both. Just pray for the weather to be alright, as it is pretty fickle in this beach town! Most of the hostels and hotels have scheduled group tours every day to all of these places, either by a cab or a bus for a group of 10 to 20 people. There are half day tours as well with a combination of these to choose from. You can select the ones you want based on your preference and time. These would be group tours but you can have a private tour arranged as well for additional costs. As I mentioned earlier, renting a motorbike is surely the cheapest way to explore Vietnam. And as in every other city that I visited, I rented a motorbike from my hostel for 100,000 VND (4$). 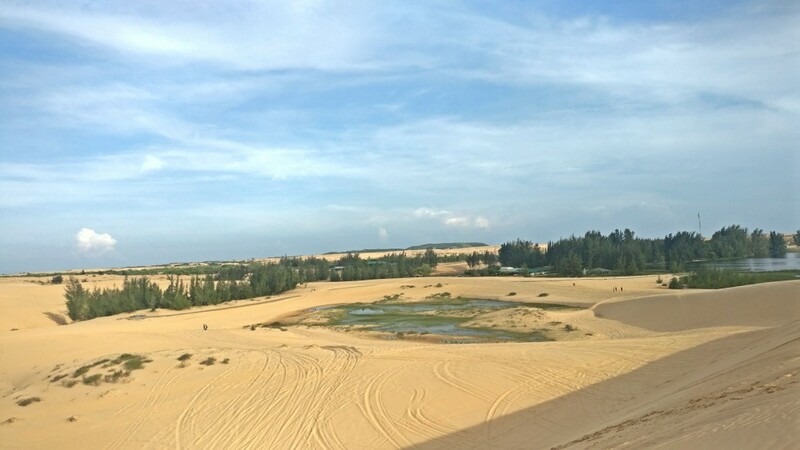 The drive to the white sand dunes is the most fun of all in Mui Ne. 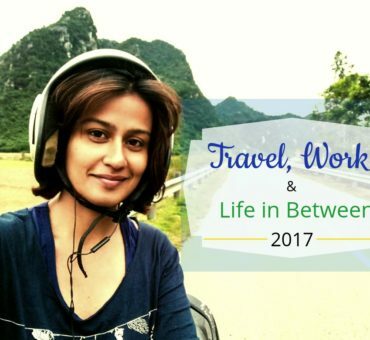 So if you love biking, do not miss this experience. However, it is important that you are cautious enough while on the road. 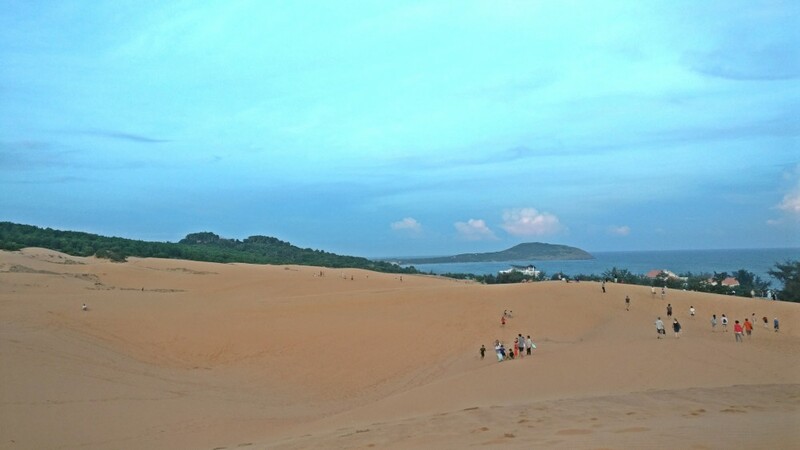 Much of Mui Ne can be explored in 2 to 3 days. 3 days help you to unwind and relax in this town, while 2 days would accommodate all of the attractions. You can start early in the morning to check out the morning market, and head next to the fishing village. After this, explore the fairy stream. Then get out of the town in the afternoon and head to the white sand dunes next, and stop at the red sand dunes for the sunset. End your day by enjoying the delicious seafood at any of the restaurants in the main town for dinner. Day 1: Plan the day as above for Day 1. Day 2: Head to The Po Shanu Cham Towers in the morning, and head to the Phan Thiet harbour later in the day. Go to the beaches in the evening for the sunset and end the day by savouring street food in the market area. Mui Ne in 3 days gives you enough time to explore as well as relax. Day 1 & Day 2: The above-mentioned 2-day itinerary could be included here. Day 3: You can opt for kitesurfing during the second half, and check out a few pagodas in the town near the harbour in the morning. You can watch the fishing village show in the night, which is about the fishermen and the life at Mui Ne. Or you can simply head to the beach with your book and beer and spend the day relaxing! 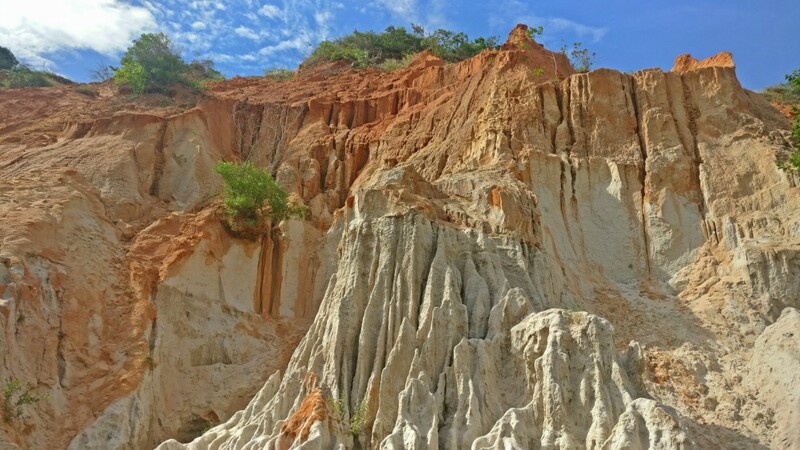 The other option is to drive to/book a tour to Tacu Mountains, which is located about 60km from Mui Ne town and spend half a day there taking up the cable car ride, visiting the largest sleeping Buddha and heading back to the beaches in the evening. 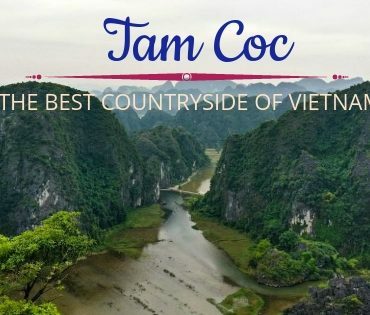 If you are traveling from North of Vietnam: You would be probably arriving from Nha Trang or Dalat, and there are two buses every day and the journey time is 4 to 5 hours. The price is usually between 120,000 to 150,000 VND depending on the operator. You can book at your hostel/hotel over the counter or with tour operators that are omnipresent. Irrespective of where you book, the prices don’t differ much. There is no direct train to Mui Ne from anywhere in the north. The nearest station is Thap Cham, which can be reached by train from Nha Trang or Danang. Take the bus to Mui Ne from there. If you are traveling from South of Vietnam: If you are from the south like I did, you would arrive from Saigon or Ho Chi Minh. There are many buses regularly from both the places, which can be booked at your hostel. The other option is to take the train from Ho Chi Minh to Mui Ne which costs between 14$ to 18$ currently. There are 4 trains every day. You can book the train tickets online in advance here. Like the rest of Vietnam, Mui Ne has all range of accommodations according to your preferences. Try to get any on the main road, which is also the centre of the town. Unlike the other places, Mui Ne has almost everything on the same road – whether it is pubs or restaurants, which makes it easy. Hostels: There are many budget hostels if you are looking for good dorms/private rooms. I stayed at Mui Ne Hills Backpackers, and it was totally worth the money. Check out the prices to book below. Hotels/Guest Houses: These are some of the mid-range hotels – Mui Ne Backpacker Village, Four Oceans Resort, and Mui Ne Ocean House. For luxury, check out Bamboo Village Resort & Spa. Mui Ne is probably one of the most chilled out destinations in Vietnam, and so get there to relax! Let me know in the comments below or get in touch with me online if you have any questions.